After the first rounds of the Midlands XC, the team have been racing their socks off attending events all over the country. With the 1st and 2nd rounds of the National XC series all now completed, as well as the 2nd round of the Midlands XC, there’s a lot to catch up on. 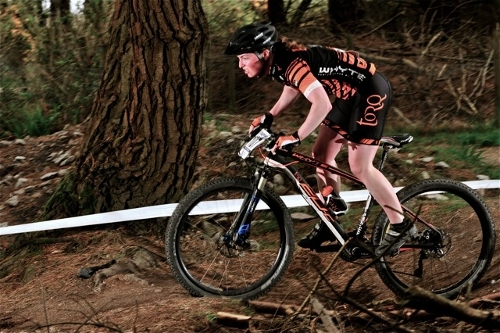 British XC Series, Round 1: In 12 years of supporting the British Mountain Bike scene, never have we, here at TORQ, not been able to attend an event through the weather; the first round of the 2013 British XC Series was the only exception to this rule! With blizzard conditions affecting the north of the country, many thought the race would be called off. However, despite the closure of the M62 and close to a foot of snow, many riders were still able to make it to the event and the race continued regardless, albeit in some extreme conditions. The course at Sherwood is relatively flat, creating what is typically pretty fast and furious racing. 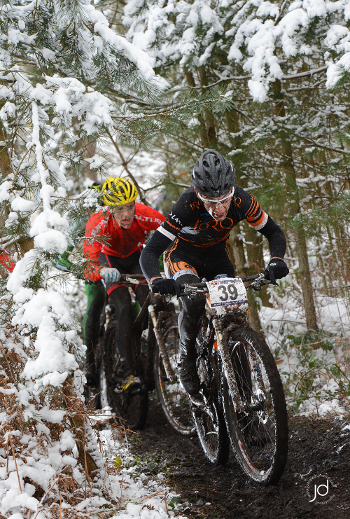 Conditions in previous years have provided dusty trails but this year saw riders suffering with ceased drive trains and free hubs, with mud flicking up onto the bike freezing sold, making just getting to the start line a challenge! The team had a great showing, with 4 female rides in the morning elite woman’s race, with Jessie Roberts, Joanne Clay, Gen Whitson and Ruby Miller finishing 9th, 12th, 14th and 22nd respectively. The afternoon race saw only Chris Andrews from the team, with our other 3 elite riders out with injury/illness. Chris finished a credible 24th place amongst a stacked field of elite riders filled with a number of foreign riders. A great start to the National Series. 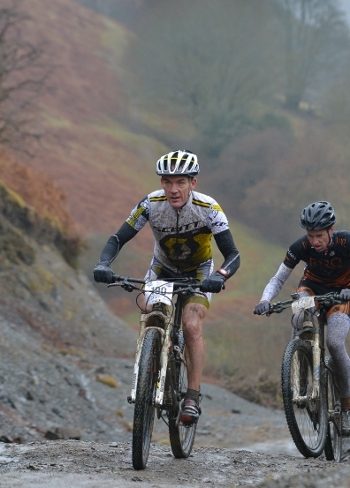 Schwalbe Marathon Series, Builth Wells: Next up was the first round of the Marathon Series, returning to Builth Wells for another year, with new title sponsor and fellow TORQ Team sponsor, Schwalbe Tyres. After sitting Sherwood out with illness, Endurance Specialist Neal Crampton set out to ride both the Exposure Lights Big Night Out on the Saturday and the Marathon the following day, along with fellow team mate and female national Marathon Champion, Lydia Gould. 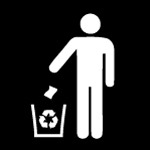 Here’s a report from Neil of how things went. The Schwalbe Mountain marathon kicked off in Built Wells in conditions that were definitely more Nobby Nic than Racing Ralph. In previous years, I have foregone the night event and gone to the pub instead; a few pints and a nice meal easily compensating for the niggling guilt I normally feel seeing the headlights twinkling up on the hills. However, this year was to be different; I was itching to test out my new Whyte team bike (Thanks to Cycletec for getting it built up last minute!) 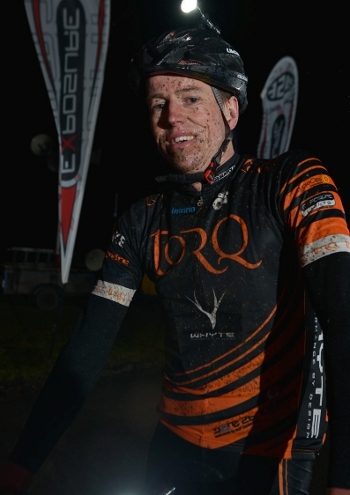 and exposure lights and, with the full nutritional might of TORQ behind me, I had no excuse. The night race saw only the hardy head out as the persistent rain and mist put many off and conditions on the tops felt pretty bleak. As the lead vehicle pulled away, fellow TORQ Fuelled local Johnny Pugh (Cycletec) seemed to have more character than most and stormed up the climb out of Fforest Fields and a lonely flashing LED in the distance was all the company I had for the rest of the ride, eventually rolling into the finish shortly behind him in 2nd.  Midlands XC Series, Round 2 Birchall: Returning to the popular venue of Birchall, on the edge of the peak district, the second round of the midlands series attracted another quality field in both the elite mens and female category. The course involved a steep climb followed by a fast and technical decent down the event area. After her battle with World Downhill Champion Tracey Mosley in round one, where team rider Jessie Roberts took the win, Jessie was the rider to watch in the elite female race. Leading for the first 3 laps, Jessie almost had it in the bag, until a big effort from Tracey on the last lap and the last part of the course finishing on a steep and technical descent, favouring Tracey’s downhill prowess, Tracey managed to pass and gap Jessie to take the win. A good ride by team rider Joanne Clay also who followed Jessie shortly after in 5th place. In the men’s race, with Lee Westwood returning to racing after a hand injury which required surgery, and Chris Andrews fresh after his good result at Sherwood and up against a solid field of quality riders, Chris and Lee rolled in 6th and 7th place. Check out the event video for the full story..
British XC Series, Round 2, Wheal Maid, Cornwall: The first ever national XC to be held in Cornwall! 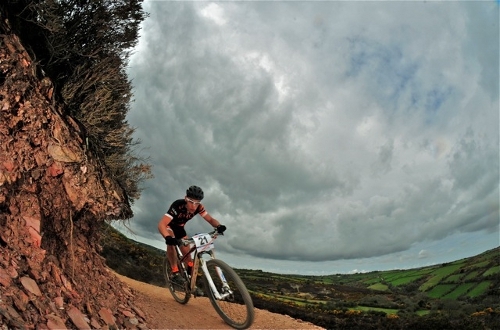 A technically challenging course that rolled its way around an historic Cornish tin mining quarry with a number of tough descents and short sharp power climbs. The female race saw a full showing with Jessie Roberts, Joanne Clay and Gen Whitson all making the trip down. 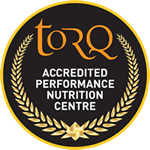 TORQ Fuelled, Topeak Ergon World Racing Pro, Sally Bigham also made an appearance on the British XC scene, as a welcome change from her World Marathon MTB Series commitments, to take a decisive win in the category. After succumbing to a puncture on the first lap, Jessie Roberts made it back up to eventually finish a very respectable 8th place, with Joanne Clay and Gen Whitson following shortly after in 11th and 12th place. 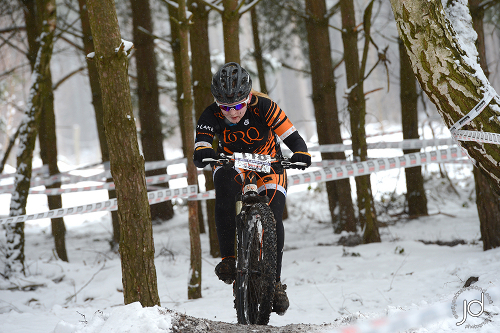 In the men’s race, with close to 45 entrants, Chris Andrews was the first TORQ rider home taking a respectable 19th place with Lee Westwood finishing shortly after in 25th place, in his first National XC event of the year. Check out the full video from the event here. Thanks to Rob Barker for the images. Next up for the team is the Regional XC Championships with a team showing in both the Scottish and Midlands XC Series. As always, a big thank you to all the team sponsors, without them we wouldn’t be able to do what we do. Watch out over the coming weeks for the full press release on the 2013 team.